Want to learn more ways to make an envelope? 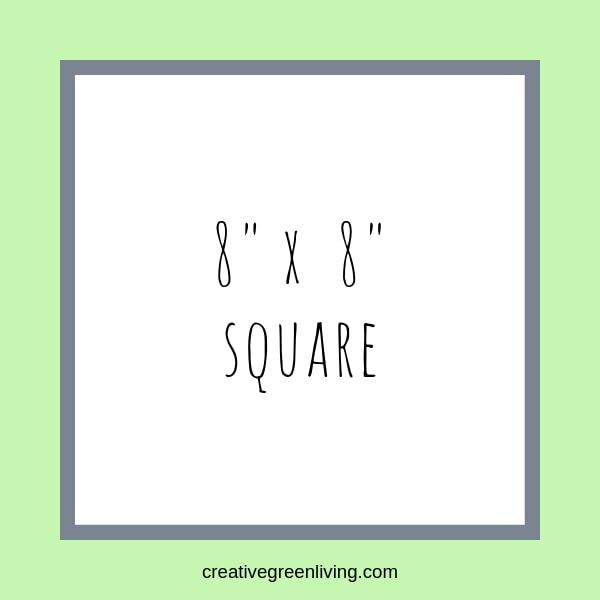 The finished envelope is A2 size, perfect for a half sheet of paper folded in half or that awesome homemade card you created! This envelope/card combo is lightweight enough for just one single stamp if you stick to the measurements I give you. Begin by taking your box apart at the seams in order to flatten it. Next, cut your empty cardboard box into an 8" by 8" square with the help of your ruler and scissors. 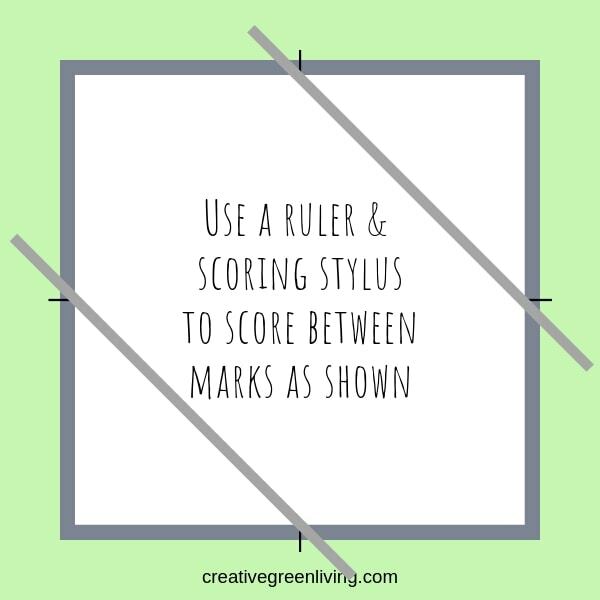 For the rest of this tutorial, all the marking and scoring will be done on what used to be the outside of the box but will now be the inside of the envelope. Mark the cardboard at the halfway mark (4 inches) on all four sides. How to fold an envelope step 3: Score! 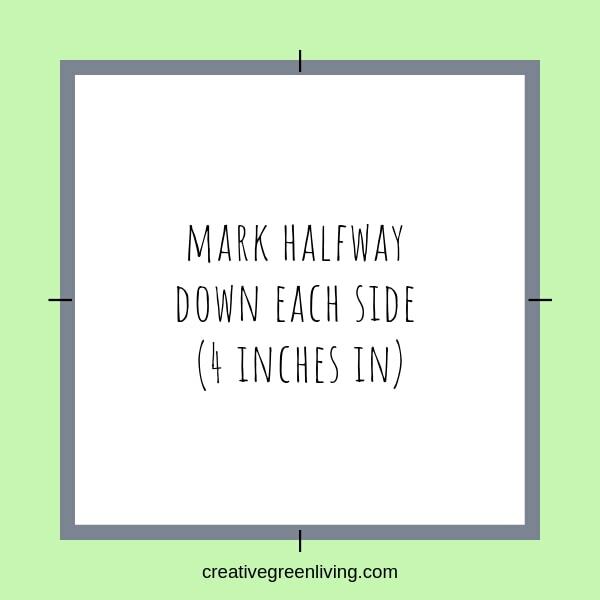 Line up the ruler from one halfway mark diagonally to the mark on the other side. Next, use the stylus to score a line. Press firmly and hold the ruler while you score (I was using my ruler hand to take this picture!). Repeat for the opposite side of the cardboard. 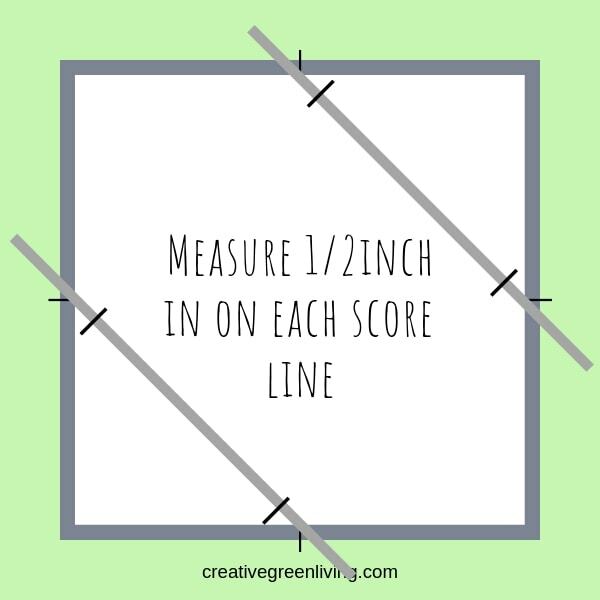 Now measure 1/2 inch on each side of the previous score lines. 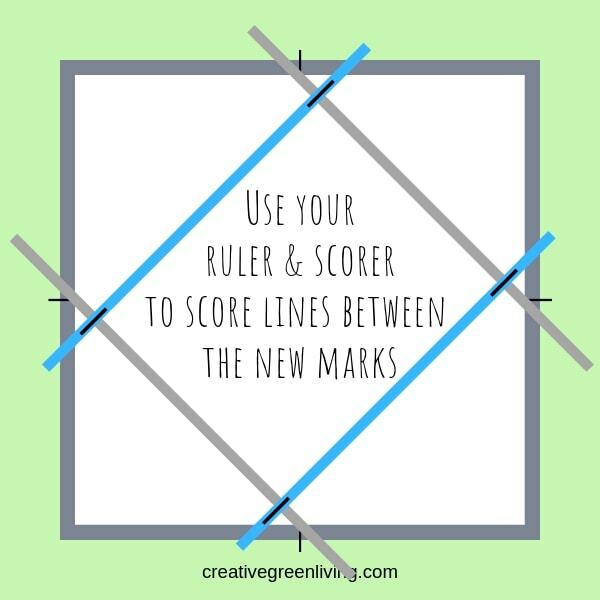 Line up the new marks and score both sides. Now there should be four score marks. Fold them inside to cover the cereal box graphic. How to fold an envelope step 5: Cut! After the scoring, there will be 4 little triangles on each side of the cardboard. 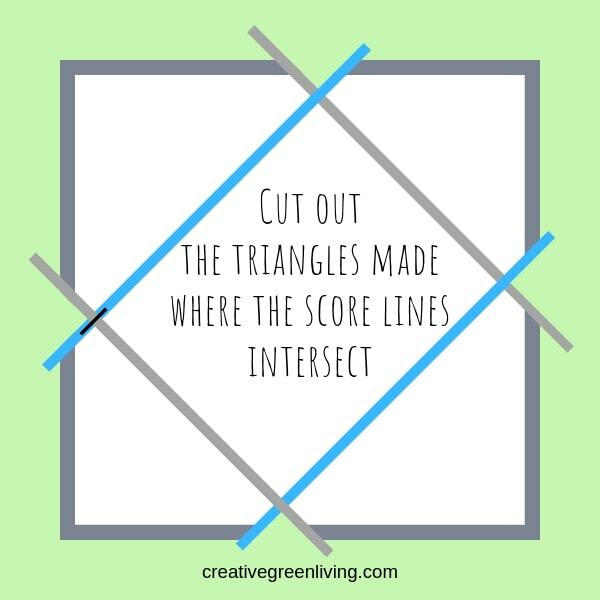 Use some scissors to cut out the triangle pieces. How to fold an envelope step 6: Doodle time! Now use markers to cover and doodle all over the flaps of the envelope. Leave room on the front of the envelope for the name, address, return address and stamp. Add color or some metallic shimmer. 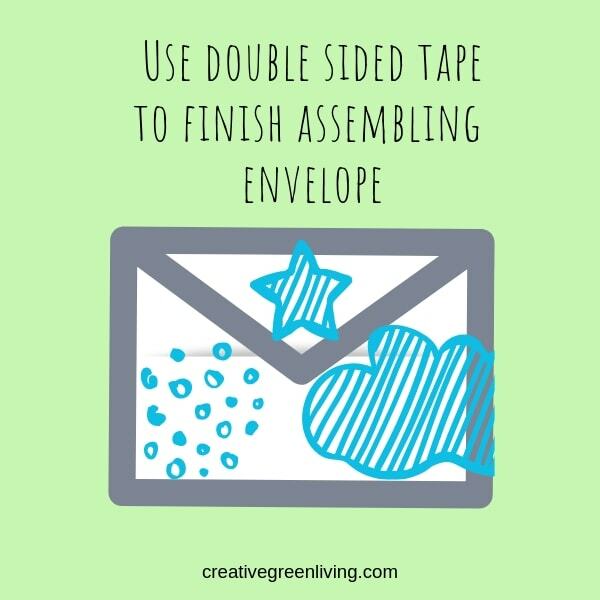 Use the adhesive to tape the envelope together. Run the double-sided adhesive on the bottom edges of the 2 side flaps. Then fold up the bottom flap and tape the 2 sides down. Now it is simple to fit a folded card right inside the envelope. It is the perfect fit! When ready, fold the top flap down and tape the flap close. Fill in the name and address...and add a stamp! 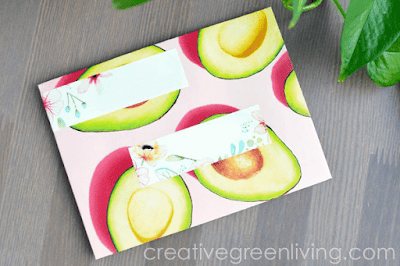 This amazing DIY envelope is less than 1 ounce, so it needs just one stamp! Making this a super economical project and a great day to spend a cold or rainy day recycling things inside! Make a dozen and fill with Valentine's for everyone on your list! 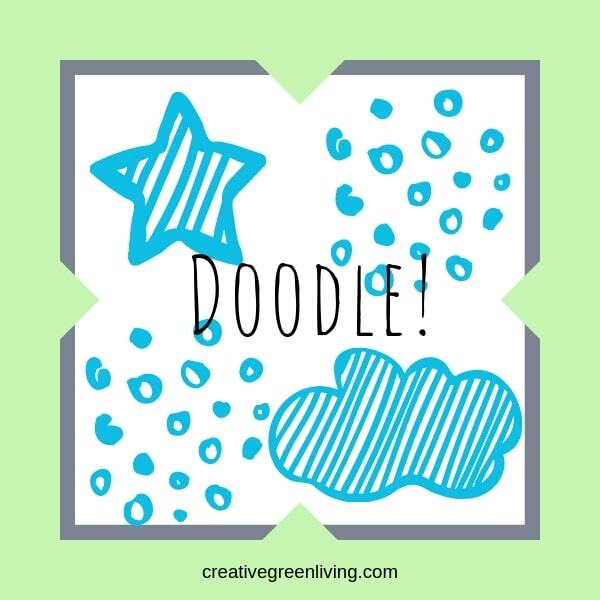 Save "How to Make an Envelope for a Card from an Upcylced Cereal Box" for later!